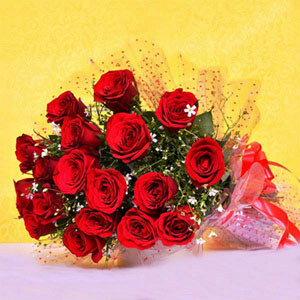 On this Valentines Day when you are willing to give a romantic surprise this beautiful flower arrangement of beautiful 15 red roses with 2 White Asiatic Lilies and green leaf decoration is just the perfect gift to make choice for. 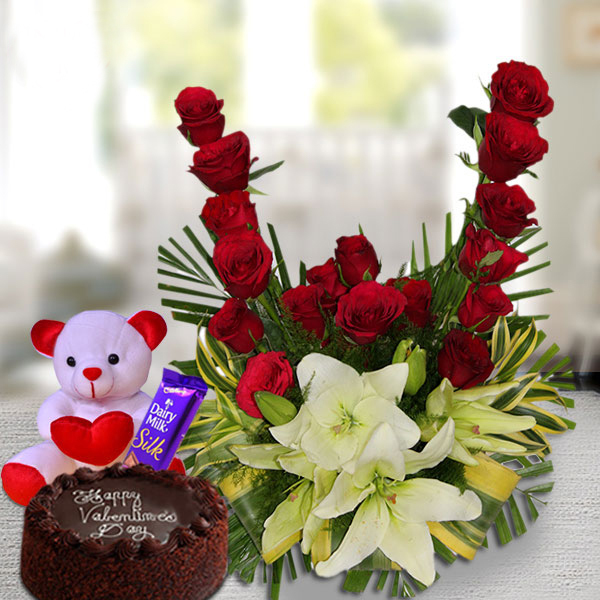 Also the addition of cute 6 inch teddy with one Dairymilk Silk Chocolate and one yummy Chocolate Cake of 500gm is making this cheerful Valentine gift combo. 5 Worthy product at such affordable range. Really amazing hamper to buy at such a reasonable price. The flower basket looked pretty. The cake tasted very nice and was also fresh. Teddy bear is a good add on to this hamper. 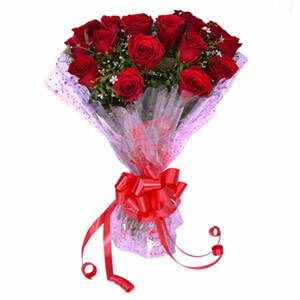 Very satisfied with the overall services of giftalove.